This quote is many decades old, and Joe has now passed, however kettlebell training has undergone something of a surge in popularity in recent years. There are several good reasons for this. The benefits of kettlebell training are considerable. The ease of application of this tool is such that trainees are able to get a whole body workout, in a relatively short period of time. Additionally, the movements are functional and incorporate the entire body. The kettlebell is an incredibly effective fitness tool, for a multitude of reasons. It is unique in that it forces the trainee to stabilise the body and the kettlebell, providing a training effect that no other exercise comes close to duplicating. I am unaware of any other training modality which is so accessible, to both sedentary individuals intent on physical improvement, or athletes. Both can benefit enormously from this wonderfully versatile tool. Kettlebell training is accessible and practical for virtually everyone. 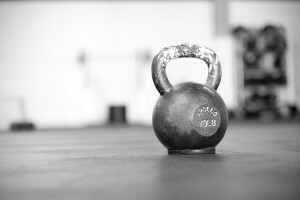 The history of kettlebells can apparently be traced back to the ancient Greek athletes. So despite its simplicity its use has withstood the test of time, and is testament to its effectiveness. Finding time to train in an increasingly busy world can be a challenge. The kettlebell offers the opportunity to compress a full body workout into a short period of time. Short intense kettlebell workouts incorporate cardio, strength and flexibility training in one hit. These wonderful workout tools are so small they can be stored and utilised in your bedroom. For a small initial outlay you receive a virtually indestructible crafted hunk of iron that will allow you to develop and maintain a fit strong and toned body for as long as you choose to use it. It can be used extremely effectively to cover every training modality. No gym membership or personal trainers required. This could be for the rest of your life. Kettlebell workouts combine strength training and cardio vascular conditioning. By using a few drills the entire body can be trained as a functional unit. The short but intense workouts are simple but incredibly effective. There’s no resistance adjustments necessary, neither is there the necessity to seperate upper and lower body training. I have a pair of 24kg kettlebells in my bedroom, which I have been using since 2009. I exercise when I choose, or when it is convenient. My entire home gym takes up no more room than a briefcase. Kettlebells will allow you to exercise when you want, or when you have time. You workout, shower and change in the privacy of your own home. Kettlebell training utilises fundamental movement patterns which have huge carryover, to both athletic endeavours, and activities of daily living. This is noticeable after only a short period of time as everyday tasks, such as carrying become much easier. Additionally you will climb stairs with less effort and generally feel more energetic. Kettlebell training utilises ballistic moves, providing the most functional training possible, as the body is made to perform effectively as a unit. Furthermore, kettlebells strengthen the tendons and ligaments, making the joints tougher and more resistant to injury. Kettlebell training simultaneously develops increased levels of flexibility in addition to joint stability and muscular strength. The unique movement patterns and off – centred load increases mobility, stability, and strength. Tangible improvements are noticeable after a very short time. Training need never become stale. There are endless combinations of workouts available online enabling you to change your workouts when required. This is especially noticeable if your an ex- strongman or powerlifter carrying old injuries like myself. The ballistic nature of Kettlebell workouts have a therapeutic effect on joints. The mobility training initiates corrections of misalignments, and dysfunctional compensatory processes in the body. My lower back pain dissapeared and mobility massively increased. My body is now better aligned with less musculoskeletal pain. Research indicates that ballistic loading, such as kettlebell swings is highly beneficial to your joints. The beneficial effects will also help ward off osteoarthritis in old age. Strong joints are necessary to effectively utilise muscular strength. 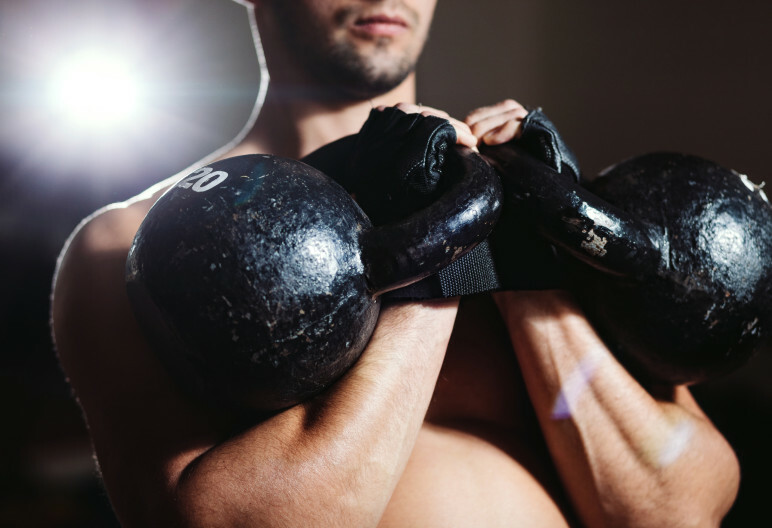 Kettlebells are used by professional fighters for good reason. The ballistic shock and deceleration processes are helpful for contact sport conditioning. Kettlebell training also develops a powerful healthy heart, and flexibility aligned with functional strength, agility and core stability. Additionally ballistic moves such as swings with heavy kettlebells build great strength in the hips – the seat of athletic power. Kettlebell training is king when it comes to strengthening the core. This is because every exercise demands the kettlebells to be controlled and stabilised. Kettlebell training will provide you with a very different, challenging, fat burning and enjoyable workout. Give this versatile training method a try, you’ll be glad you did. The benefits of Kettlebell training are tangible and will be noticed very quickly.